You need to start growing your own food at home. Save money, eat healthier, and be ready in case of emergencies by growing your own food with an aquaponics system or organic vertical garden – even if you live in an apartment. It’s not as difficult or as expensive as you think. Think it’s hard? Well, it actually can be if you start from scratch to figure it out yourself but it’s certainly not impossible, even for an aquaponics system. There are a few great books on the subject such as Aquaponic Gardening: A Step-By-Step Guide to Raising Vegetables and Fish Together that give you, like the title says, step-by-step instructions . A vertical garden is even easier to set up. You can actually buy a ready-to-go vertical garden system online for about $300 if you want to save time but the video you’ll see later on will show you how you can do it yourself even cheaper. It doesn’t really matter how you do it as long as you do it. 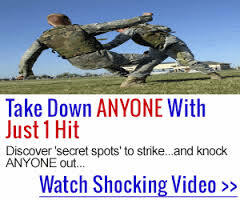 I’m going to tell you how you can get some info to save some time and do it very cheaply and easily. I’ve thought about this for a long time and have been doing research for a while on actually doing it but I finally found out how to do it so I’m sharing it with you. Home gardening is something that fell out of style when populations moved out of the rural areas and into towns and cities. Recently though, there’s been a resurgence of home gardens. A lot of people are starting to do this again, but a lot more efficiently than in the past. You don’t have to move back to the country to grow your own food anymore. How many times have you bought food from the store and ended up throwing it away because you didn’t eat it in time? If you end up throwing away 10% of the food that you buy, you’re essentially paying about 10% more for your food. By having your own garden, you can pull food off whenever you need it. Here’s where you really save money by growing your own food. Once you set it up (I’ll tell you about a really cheap option shortly), food keeps coming. You can usually replant food from the seeds of what you’ve grown previously. You can rotate your crops and have different foods at different times and can adjust how much you grow of each thing so you always have enough. What you’re developing is sustainment. A home garden can be replanted over and over and an aquaponics system replenishes itself. National Geographic did an episode showing a family using aquaponics. It’s quite ingenious. Grocery store food comes from large corporate farms that use a lot of chemicals like pesticides and weed control sprays as well as genetically modified organisms (GMO) that are a very real health threat. There are reasons why those farmers have to wear protective suits when they walk out in those fields. Why would you want to feed your family food that has been covered with poison and has soaked it up from the roots? By growing your own food, you can control what you put in it – and what you don’t. The cool thing about an aquaponics system is that it has fish. I’m sure you’ve experienced how calming it is to watch fish or take care of them – or even go fishing. In a study conducted in Norway, people who had been diagnosed with depression, persistent low mood, or “bipolar II disorder” spent six hours a week growing flowers and vegetables. After three months, half of the participants had experienced a measurable improvement in their depression symptoms. What’s more, their mood continued to be better three months after the gardening program ended. At least two studies have shown that those who gardened regularly had a 36% and 47% lower risk of dementia than those who didn’t. That’s pretty powerful. When you commit time, effort and money to caring for your plants, you naturally feel a stronger connection to the food they produce than something you just plucked off a grocery store shelf. Many studies have shown that having healthier food within reach at home causes people to eat better because it’s right there in front of them. Also, they choose better foods even when they’re not home because their palate gets used to what real food tastes like. Recent and past history has shown time and time again that when regional emergencies happen, store shelves empty immediately. Why is that? Because a grocery store is a corporation and corporations try to maximize profit. One of the most effective ways to maximize profit is what’s called the Just In Time production strategy. I used this system when I used to manufacture aerospace computers and RADAR systems as well as when I ran a large warehouse department. The earlier you get stock in, the more room you have to have to store it and the more money you’ve spent before you can collect. It increases your working capital. Think of it this way. Let’s say that you know that your family eats one head of lettuce each week. Why don’t you go to a farm and buy a truck load of lettuce to last for the next 10 years and get a volume discount? Because for one, you’d spend a big chunk of money on just lettuce that you could be spending on something else (called opportunity cost). For another, vegetables like lettuce that have been picked don’t last all that long so you’d end up throwing most of that food away before you could eat it. You only buy lettuce the day your need it or maybe a day or two before. Plus, where would you put all of it? Grocery stores are the same way. They can’t afford to shell out money to buy a year’s worth of all the stuff they sell, or even a month’s worth – or even a week’s worth! Even when they do buy some things in bulk that have a longer shelf life like canned foods, they can’t afford the extra overhead to expand their storage shelves. Because of this, just as you do, they only buy food that they know they can sell immediately. The problem is that variations in consumption can mess up this Just In Time system. If your extended family all showed up one weekend and you needed to now feed 50 people instead of four, your pantry would empty out quickly. You’d have to run out to the grocery store and get more food. What would you do if they were closed or your car didn’t work? You wouldn’t be able to feed everyone. Food supplies in an emergency run into the same thing. If you watch the news (or live in these areas), whenever a large snow storm or a hurricane is coming, people run out and empty the shelves in the grocery store that day. Those shelves don’t get replenished until after the storm has passed. But what would happen in a longer emergency such as if the power grid goes down or there is a terrorist attack? First, those grocery stores would empty immediately. Then even worse – that food replenishment may not be coming for a while. Sure you may have some canned beans and rice stored up but that is a fixed supply. As you eat from it (or just let it sit and expire), your supplies dwindle. If you could grow your own food, you wouldn’t have to worry about all that. When you needed some veggies for tonight’s dinner, you just walk out and pick them. Same for herbs or whatever else. Now you may say that something like a garden takes up too much space for you. I’d most likely agree with you but I have a solution for you: vertical gardens. Instead of spreading out your crops in a large area, you just need a small area and grow them above each other. And- from what you’ll learn from the information I’m going to tell you about, vertical gardens can grow even more efficiently and have less issues with pests and waste. Food that comes from a grocery store has to be farmed, stored waiting for trucks, transported to the grocery warehouse, transported to the grocery stores, stored waiting for you to buy it, and then sit in your pantry or fridge. Because of that, they put in additives to keep it from spoiling. Not only that, they also put in fillers to cut costs and coloring so it looks good even when it’s not. Food you can grow at home is just 100% pure, natural food. If you’ve never pulled food right from the stalk and ate it fresh, you’ve never actually tasted it. How can you grow your own food cheaply and easily? I have two solutions for you: vertical gardening and aquaponics. A vertical garden is just what it sounds like. The crops are stacked above each other. Because of this, watering is more efficient and the space you need is VERY small. If you really want a fully self-sustaining system that you can comfortably feed your family with though, you need an aquaponics system. Having both gives you a very well-balanced supply of food and nutrients but you could start with just one. 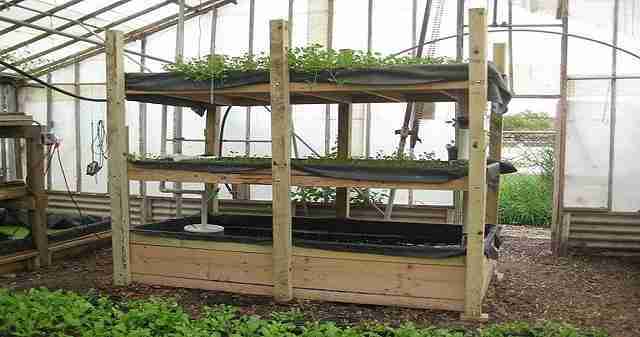 Do you already have an aquaponics and vertical garden? How did you get started? What did you learn after building it that you wish you would have known? What advice can you give that would help someone just starting off? I’ve explored aquaponics for the past 3 years and decided not to set up a system. What concerns me is the dependence of the system on electricity–to pump water through the system. Even a short period without it and, even more quickly than with a regular fish tank, the fish will die. What are your thoughts on this? Electricity is definitely a concern. A backup solar system would be a must, as well as some kind of physical secondary like a bicycle hooked up to a pump. I just read your post on Life Skills vs Stuff and it resonated. Being able to fix or improvise mechanical systems would be invaluable. With that, aquaponics looks much more feasible. I did have one other concern about keeping an aquaponics system going, and it’s another area where it might be possible to skill up–most systems rely on buying fingerlings each year to restock. I can imagine that breeding fingerlings would be a valued skill after TSHTF so this is another area to gain competence in. Thanks for the Life Skills post and this one. I’m going to go ahead with aquaponics, and I have lots of new skills to learn. Thankfully I’ve got the food-growing homesteading stuff pretty much under my belt, since there’s so much else to get a handle on! Having a complete system without requiring external input is a must. That’s one of the reasons I haven’t actually built one yet. I don’t want something that I have to go buy stuff to put into it. I have learned a ton of information – especially what I am or could be doing wrong in a survival situation. My first order of business is to start accumulating several months of “non-perishable food”, while I am educating myself with this aquaponics deal. I am a skilled tradesperson thus will be able to bring some needed skills to a group or just survive in a bug in situation. My question is, while looking at my nearly bare food pantry, I did notice some items that we have had for a looooong time and still are ok. They are dried shredded coconut and popcorn. Would these 2 items be good to seal in mylar bags for a long term food supply? Also, I believe coconut oil is a must. It has a very long shelf life and can be used medicinally and as a cooking and food source with great nutritional value. What are your thoughts? Coconut oil is good stuff. Just keep it sealed because it doesn’t last forever, especially after it’s been opened. Both the coconut and popcorn would probably be pretty welcome if you had to live for a while just on what you had stored. I’m not familiar enough with storing food to be able to answer any details about them though. Try http://theorganicprepper.ca/. She’ll probably be able to help you with that much better.